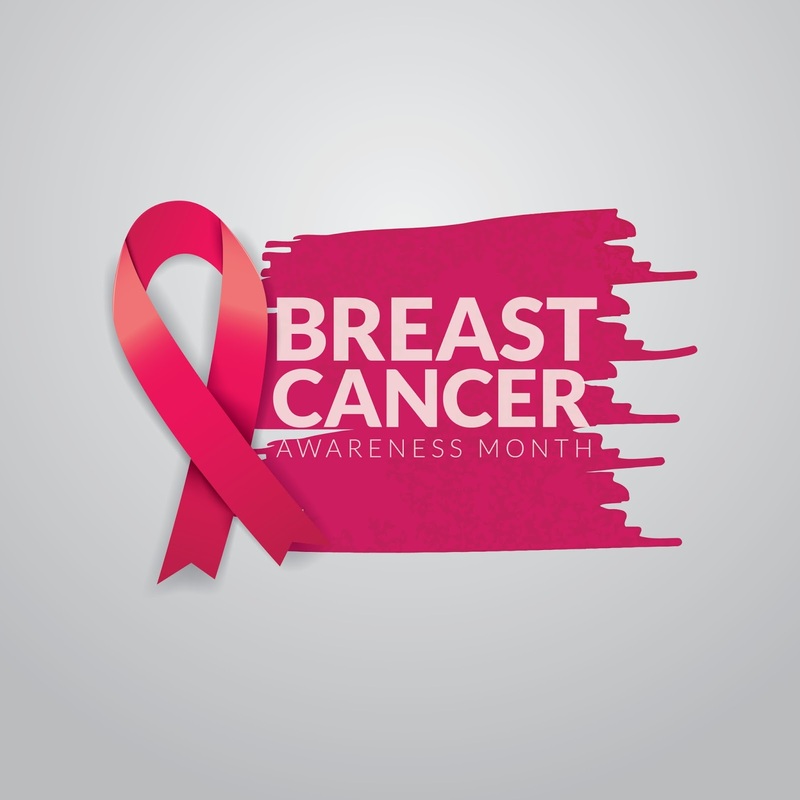 October is Breast Cancer Awareness Month, and even if you or a loved one haven’t been directly impacted by breast cancer, it’s a cause worth engaging with. I had my own scare after having my youngest. I’m very fortunate that everything turned out fine, but I always donate to the cause. 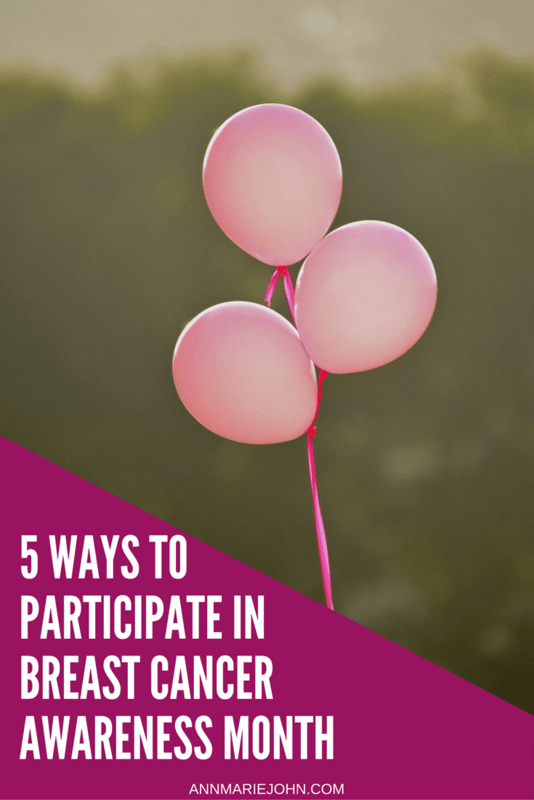 Whether it’s donating ribbons or making regular contributions, there are a number of ways you can participate. The first and most important thing you can do is educate yourself. Learn how to detect it, and take care of yourself by going for regular exams when the time comes. This year in honor of Breast Cancer Awareness Month, the National Breast Cancer Foundation is providing free breast health guides, which cover topics like healthy habits, assessing personal risk, signs and symptoms, early detection, and basic information about breast cancer. Ages 40-44: Begin annual mammograms, if you wish to start early. Ages 45-54: Should get mammograms every year. Ages 55+: Continue yearly screening or go at least every 2 years. They also recommend becoming familiar with how your breasts look and feel so you’re better able to detect any irregular changes that occur. Of course, these recommendations will vary depending on your personal and familial medical history, so always talk to your doctor about what’s best for you. The next step is helping to spread awareness to others. If you have a blog, write a post like this one. If you have a personal story, consider sharing it with others so they know they aren’t alone and to help them along on their own personal journey. It can be scary to share, but support is the number one thing the breast cancer community needs. Sharing personal stories also helps others who aren’t directly impacted by breast cancer to better understand and empathize. I found Meredith Israel’s story especially touching. The social media age has really revolutionized the way organizations are able to raise both awareness and money for any given cause. The company Bake It Happen has created a brilliant platform where you find and bake a recipe from the site, then share it on social media using the proper tags and hashtags. Every time you share a photo, Bake It Happen donates money to The Cancer Couch Foundation. A pretty simple, fun, and delicious way to make a difference. Whether you have money or time to give, organizations such as Susan G. Komen have been able to develop a myriad of truly impactful ways to help people “act, donate, and get involved.” You can participate in a Komen Race for the Cure or other nearby event, raise funds through their site, join Komen on the Go, become an advocate, or find a local affiliate where you can volunteer. If you know of another breast cancer organization that’s close to your heart or that you trust, a wonderful way to support them is by hosting your own fundraising event on their behalf in your local community. The ideas are endless, but you know your community best — what do people like to do in your town? Is there a big golfing community? Nature or animal lovers? Here’s a wonderfully thorough list of ideas to get your wheels turning. How do you stay engaged with causes you believe in? My grandmother is a breast cancer survivor, so I donate as much as possible. It's definitely a worthy cause. Thank you so much for sharing this! Breast cancer is such an insidious disease. It can strike any woman at any age. We need to get rid of it. Breast cancer awareness is so important. This seems to be one of the more common cancers for women, and it is a bad one. Several people close to me are breast cancer survivors so this is a cause that is dear to me too. Our town participates in Relay for Life every year and there are always many there supporting the cause. This is such an important cause. I participate in a couple bowling tournaments each October and all proceeds are donated the Susan G Komen foundation. These are some great suggestions. I have a friend fighting cancer right now. A dear friend of mine lost a sister to breast cancer this year. I think I will make a monetary donation in her name as my way of supporting such a worthwhile cause. Thanks for sharing your suggestions. My grandmother is currently fighting uterine cancer so this post hits close to home. I love that there are so many ways to participate in breast cancer awareness month. I know being aware is number one, glad my family shares health history with me. Also, donating or purchasing from stores who donate a portion this month to the cause is great too! It is one of the most important causes we need to focus on. These are great ways to raise awareness. Thank you for sharing this. I lost an aunt to breast cancer, so breast cancer awareness is close to my heart. We have come a long way since then but we have a long way to go. My grandma passed away from breast cancer in her early 40's so it's always in the back of my mind to stay on top of my exams. I donate each year and also buy products that support the cause. I donate to the breast cancer foundation in Australia every year. I think it's so important to be on the front foot of these diseases and try and prevent as much as possible. Big love to any one currently fighting through this! Breast cancer, one of the largest diseases that takes a lot of the women that we admire and love. It's really important to get annual mammograms especially since early detection is the best way to beat it. Thanks for these, spreading awareness is also very important as well as helping out. I had my first mammogram at age 35 and now this year is the first year that I will be having them annually as I just turned 40. I couldn't agree more how important these screenings are. And appreciate you sharing how to bring more awareness here to this now. I'm so glad that you wrote about breast cancer awareness month! It's normally in the spotlight but with so many crazy events happening in our nation it's been very overlooked. Breast cancer has taken so many and some of them are people that are close to me. It's really good to help out and do as much as you can, after all it's all for the women. These are brilliant ideas! It is so important to spread awareness about breast cancer. It runs in my family, and I think my family has been much more diligent just because we know what it has done to our family members. I always try to donate and spread awareness especially during October. I also try to do the breast cancer walk. Every time breast cancer is brought up the hurt from the loss of my grandmother resurfaces so I've avoided the subject. But this was a great reminder that I need to redirect that hurt into support for others going through what we experienced. These are wonderful ideas. Raising awareness is something we can all do as early detection can make a huge difference. I had a very dear friend of mine fight it twice. She lost the battle the second time around and it has changed me forever. I love that you help guide people to support breast cancer. Wow what an amazing organization. It is nice to actually see they difference they make. Awareness is super important. I really hope they can find a breakthrough with the science available. I think its fun to get social. I love they have every year wearing pink tutus and sharing it on social media is a fun way to bring awareness. I haven't had a Mammorgram yet and I feel like I really need to do so. It's hard to find the time, but that's truly an excuse. I need to find a way to make it happen. My mom was a breast cancer survivor, so this post is near and dear to my heart. We support breast cancer research whenever we can. Breast cancer has affected many of my friends and family members and it's so important to raise awareness for women! These are great ideas! This is such an important cause. Breast cancer affects so many and hopefully the latest screening techniques are effective. This group is doing such great work. I know so many people who have been affected by breast cancer. It is important to realize that I am getting to the age where checking is going to be even more important. These are definitely some great ways to participate in Breast Cancer Awareness Month. Thanks for sharing. My grandmother had breast cancer. I'm not 40 yet but I'm prepared to get screenings whenever suggested. I have always been a breast cancer activist so I particularly love this post. Get involved with a cause you care about is a great way to give back and help others. I also do my research about organizations raising money because so many nonprofits have been caught up in scandals in the past years by using the money donated to pay themselves instead of to do research. This is a great post. I definitely agree that awareness is a great way to be involved. Raising awareness for the cause and also checking your own breast are so important. This is a great cause really important cause, breast cancer awareness is one of the type for women's cancer. I was just asking my friend who is a survivor what our family can do. I think a lot of people are interested but don’t know how. I heard recently that in Canada, 1 in every 2 people will get some form of cancer. For women, 50% of the time it's breast cancer. We are all touched by it in some way or another. Thank you so much for spreading awareness - it's such an important cause. What a wonderful post! Thank you for provided these great ideas to help raise money and awareness.